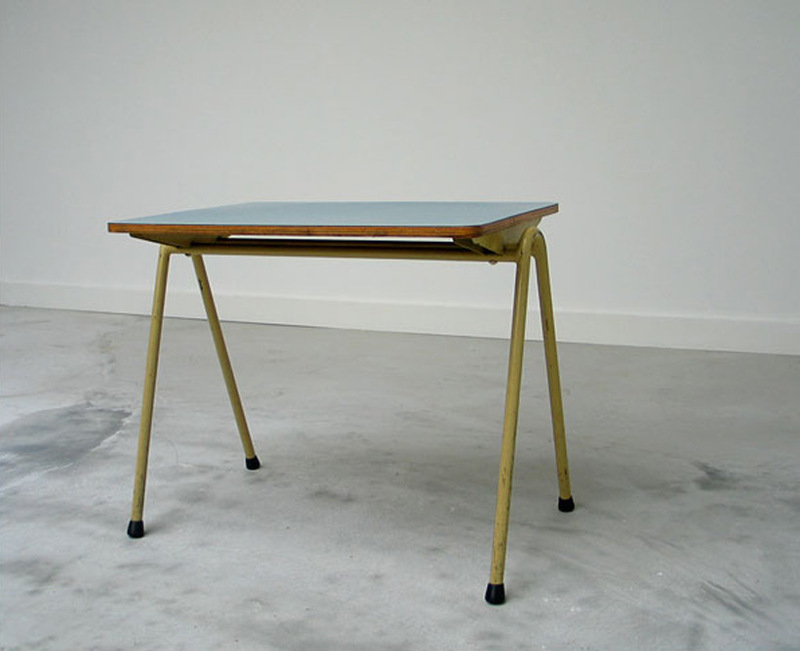 Child table designed by Willy Van Der Meeren 1950, Modern Belgian social furniture. Tubular white yellow metal frame with on top wood finished with blue formica. Table d'enfant conçu par Willy Van Der Meeren 1950, meuble social Moderne. Structure tubulaire en métal, couleur jaune blanche. Tablette en bois avec une finition en formica bleu.